We just witnessed the largest changes to the tax code since President Reagan. We at Financial Sense Wealth Management have composed a summary of all the changes that go into effect for 2018. Remember this will have no impact on your 2017 taxes. Standard deductions have almost doubled. The standard deduction for single filers is now $12,000 instead of $6,500 and $24,000 instead of $12,700 for joint filers. This comes at the expense of personal exemptions. The personal exemption of $4,050 per person has been eliminated to allow for the higher standard deductions. For example, a family of 5 under old rules had $32,950 in combined exemptions with the standard deduction but is now only allowed to deduct $24,000. 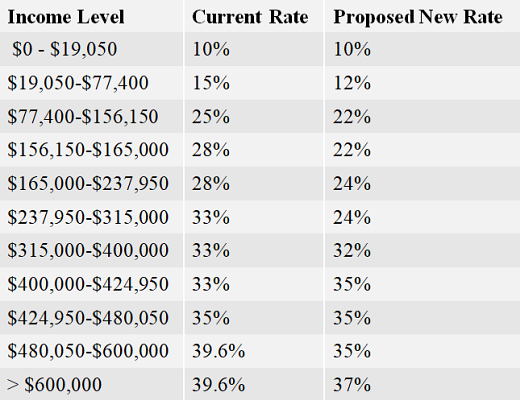 State and Local Tax Deductions (SALT) are now capped at $10,000. Mortgage Interest Deduction was lowered to $750,000. The cap was previously $1 million and now you can only deduct up to $750,000. Student Loan Interest still deductible up to $2,500. Medical expenses are still deductible. Medical expenses above 7.5% of Adjusted Gross Income (AGI) are deductible. Many other deductions have been removed. Examples of eliminated deductions include tax preparer fees, moving expenses, or alimony payments. To offset loss of personal exemptions and itemized deductions, tax rates were lowered across most brackets. Child Tax Credit increased. Tax credit is now $2,000 per child under 17 instead of $1,000. More people will also be able to claim it since the phaseout increased to $200,000 for single and $400,000 for married jointly. 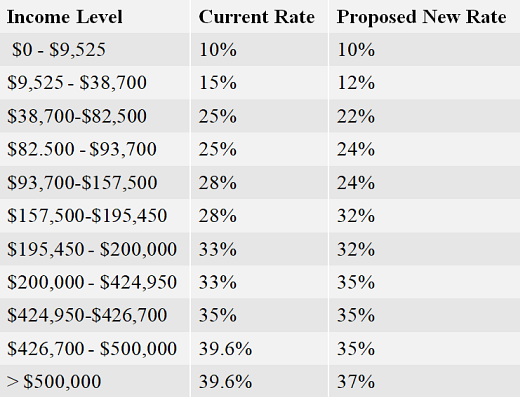 Fewer will be stuck in the purgatory that is Alternative Minimum Tax (AMT), for now. The combination of higher exemption and exemption phaseouts along with limited itemized deductions means fewer people will be impacted by AMT until 2025 when the provisions expire. 529s can now be used for ALMOST ANY educational expense. Up to $10,000 per year can now be used for any public, private, or religious elementary or secondary school. Pass-Through Entities receive a major boost. Income from an S-Corp, LLC, or Partnership may receive a 20% deduction except for certain personal service businesses (i.e. lawyers, doctors and accountants). Most everyone will avoid federal estate taxes, for now. The threshold was doubled to $11.2 million for single or $22.4 million for a couple. However, like AMT, the sunset provision will expire in 2025 and reduce the threshold back to $5 million per person indexed for inflation. Inflation adjustments will be reduced. Currently, inflation adjustments, like those for Social Security payments, will receive smaller increases in the future since they are now linked to the chained CPI. All information has been derived from the Tax Cuts and Jobs Act (https://www.congress.gov/bill/115th-congress/house-bill/1). This information is for general guidance only and not intended to be tax advice. For your particular tax needs and situation, please consult your tax advisor.